Along the scenic Park Road 4 corridor, this "ranchette" development features some of the most diverse terrain around -- creeks, hills and beautiful oaks only begin to describe it. Tract size ranges from 8 to 18 acres. Private and gated. Located just a couple miles off Highway 281, this property is convenient to both Marble Falls and Burnet and is within an hour of Austin or hour and a half of San Antonio. 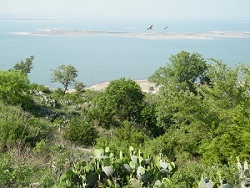 Stunning views of Lake Buchanan, Inks Lake and the Colorado River valley. City water, paved roads and underground utilities highlight this first rate, gated development at the edge of Burnet, TX. Located on Highway 29, this classic Hill Country property is only 45 minutes to downtown Austin. Tracts range in size from 2 to 11 acres. Wolf Creek Ranch is a 1320 acre ranch development with gated entry and 120 acres of common reserve area which includes a pavilion alongside North Morgan Creek. Wolf Creek is a working cattle ranch and wildlife preserve. All the advantages of ranch life without the chores. 5 acre lot located in the private, gated development of The Meadows at Bluebonnet Hill. 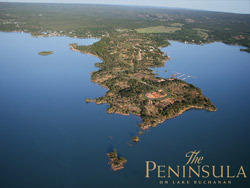 Conveniently located just 2 miles from the town of Burnet. Secluded acreage in a 200 lot development that is less than an hour from Austin. This tract is situated along the headwaters of Cow Creek with nice Sycamore, Walnut and Willow trees. Blackbuck antelope graze across the subdivision. 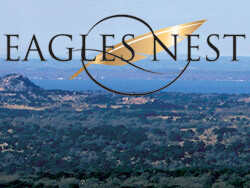 Castleview is a gated ranch subdivision that is conveniently located between Marble Falls, Burnet and the lakes. Low property taxes due to wildlife management. Unrestricted acreage on Burnet County Road 108. Very private location, excellent tree cover, rolling hills. Only 10 minutes from Burnet. 2 acres just outside the Burnet City limits with Mesquite trees and sandy soil for commercial or residential use. City water is available. 120 acres of ranchland on 3 sides.